Help Nurture and Strengthen our Community. 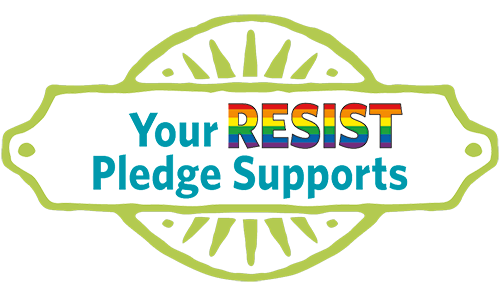 community--make a RESIST pledge today (and if you pledge $25 per month or more you get a RESIST T-shirt)! In section 2 of the form, select "pledge"
If you've pledged $25 or more per month, contact dk.haas@ucsf.edu for your RESIST T-shirt!